If you thought that Reliance Jio and Vodafone plans varied in prices alone, you’re mistaken. Both plans offer 84GB data, but there are many factors which make them different from each other. While Vodafone’s new plan Campus Survival Kit is available for Rs. 352, the Reliance Jio’s new plan can be availed for a higher amount of Rs. 399. The Vodafone pack indeed has a lower price tag, but only students in Delhi NCR can avail it for now. Vodafone pack offers 1GB 3G/4G data for 84 days, and it will be soon available for users living in other corners of the country. On the other side, Jio plan provides a 4G connection. Another popular Jio pack includes the Rs. 309 plan offering 56GB data for 56 days. 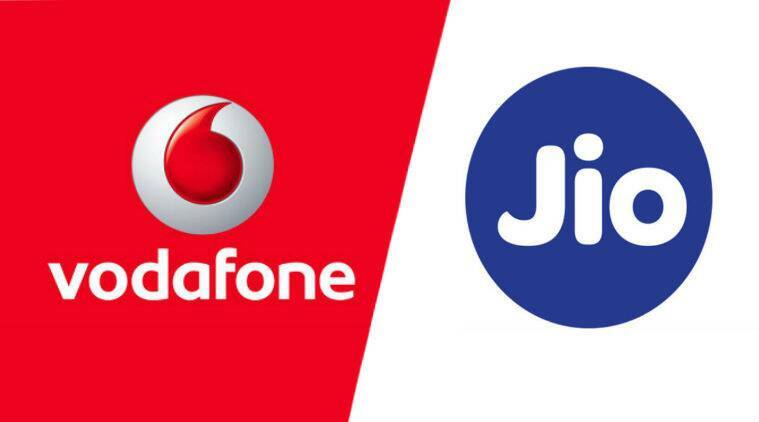 In case, you buy a brand new JioFi and Jio sim card, you can subscribe for its Rs. 509 pack that offers 224GB data. And for that, you’ll have to get a Jio Prime Membership for a minimal amount of Rs. 99. With Jio Plan amounting Rs. 399, one can make unlimited voice calls and text messages. And now the company will start pre-booking its Reliance Jio 4G VoLTE enabled phones from 24th August. Besides these privileges, the Vodafone subscribers will also receive amazing discounts from popular companies including Zomato, Ola and much more. The users can enjoy 300 minutes of calling every day and 1200 minutes every week. If you are using a new prepaid Vodafone connection, and looking for some cheaper plan, you can get its 70GB plan at Rs. 244 only. The first recharge of the pack is valid for 70 days, while on the second recharge, the subscriber will get a validity of the half time period i.e. 35 days. So, what are you waiting for? If you’re a Delhi student and have recently got a Vodafone connection, then go for its Rs. 352 plan. Else, the Reliance Jio pack costing Rs. 399 should be your ultimate choice.